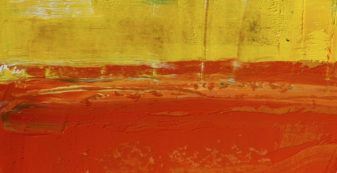 Home > SVA Quarterly > First Australians > What makes for a collaborative philanthropic partnership? Indigenous women’s social enterprise, Marnin Studio and SVA describe what it takes from both ‘venture’ and ‘funder’ to create a collaborative philanthropic partnership – one that is driving mutual objectives and generating shared learnings for both partners. 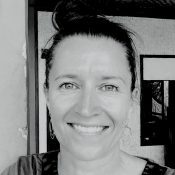 It was early morning in the Kimberley outback and Brooke Small from Marnin Studio was driving around communities in the Fitzroy Valley to pick up women who work in the arts studio. Every now and then she pulled over and chatted with women, inviting them to jump in and visit the Studio. At one stop, a lot of children were playing near a bulging boab tree. “Does the tree look ready for picking?” asked Brooke of the women in the van. They unanimously agreed, “Yes!” and called the children over, offering them 50 cents for every nut they could pick. One woman hopped out to supervise, as we continued the morning pick-ups. 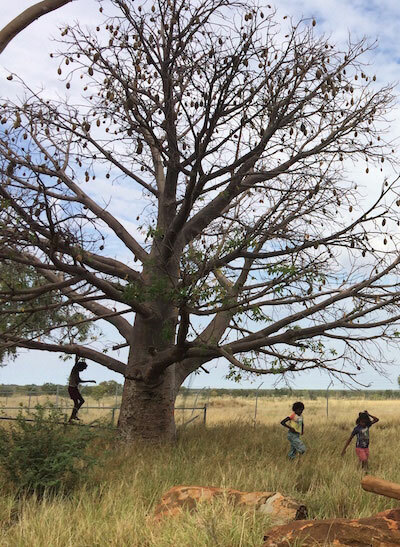 When we headed back to the tree later, the children proudly showed off the big load of boab nuts they had collected. We sorted and counted them together, the children’s excitement increasing with each nut counted. 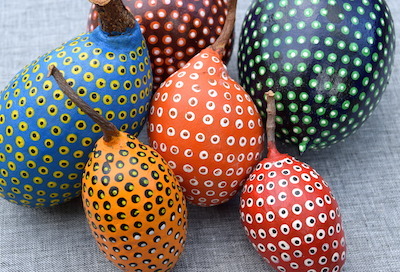 Then we drove to the local store so the children could buy lunch with their earnings and brought the boab nuts back to the Studio to be painted up and sold across Australia. Marnin Studio aims to empower the local Indigenous women to be change agents in their communities. Marnin Studio [the Studio], an Indigenous arts and therapeutic studio in Fitzroy Crossing, a remote community 400km east of Broome in Western Australia, joined SVA’s venture philanthropy portfolio in May 2016. 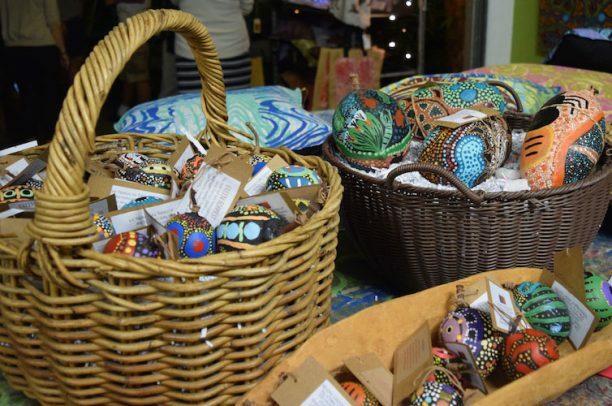 Operating out of the Marninwarntikura Women’s Resource Centre, Marnin Studio supports women from the Fitzroy Valley to develop and sell contemporary artisan products inspired by traditional knowledge and the local surrounds. The Studio not only provides the women with income, but also helps them develop leadership skills and access therapeutic wrap-around support to address intergenerational harm and trauma. The Studio’s goal is to empower the local Indigenous women to become leaders and change agents in their communities. In so doing, it aims to improve their well-being and create greater life potential for the women, their families and the broader Fitzroy Valley community. Early in 2016, SVA was introduced to Marnin Studio when it was at risk of closing down due to short-term and uncertain funding. 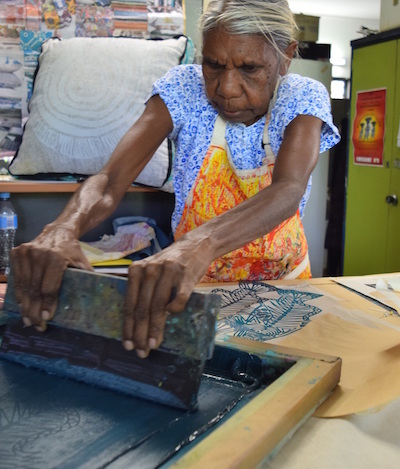 After a detailed due diligence process, SVA began a three-year partnership, providing funding and capacity-building support to enable Marnin Studio to become financially sustainable and continue to offer healing and growth for women in the Fitzroy Valley. Sales revenue for the Studio has increased. One year on and the partnership is starting to bear fruit: sales revenue has increased and more women are participating in studio activities and seeing their participation as more of a work-like activity rather than therapeutic hobby. The partnership has also been recognised by Philanthropy Australia with the 2017 Indigenous Philanthropy Award, acknowledging it as an effective model to advance Indigenous communities, support Indigenous culture and promote reconciliation in Australia. Though both are non-profits, SVA and Marnin Studio come from different backgrounds. SVA, as a funder, investor and advisor, is grounded in business disciplines to support organisations to be more effective funders and service providers. Marnin Studio, as an Indigenous, community-led organisation, is grounded in culture, community, advocacy, and supporting the women and the community through self-determination. To accommodate the different cultures, SVA and Marnin Studio have developed their own collaborative philanthropic relationship – where the two organisations meet in the middle and learn from each other to enable broader impact. This article highlights four qualities at the heart of this collaborative philanthropic partnership which is enabling the organisations to realise their shared goals. 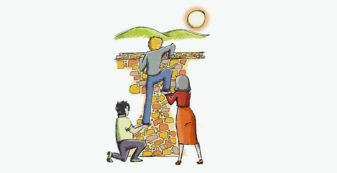 The qualities are reciprocity, transparency, flexibility and support. Rather than seeing Marnin Studio as a grantee or funding recipient, SVA sees the Studio as a partner we are working with to achieve mutual objectives. Similarly, Brooke says: “Marnin Studio’s relationship with SVA is a true partnership in the sense that it is collaborative, supportive of our needs and designed to strengthen and professionalise what has grown from the ground up. … we look at the potential learnings that SVA will be able to share to benefit the ecosystem more broadly. SVA’s due diligence process for selecting venture partners is where this reciprocity first became apparent. The due diligence is detailed and rigorous; it seeks to understand not only the venture, but also SVA’s potential to contribute to the venture, the overall partnership opportunity and its ability to contribute to system level change in at least one of SVA’s strategic areas of focus. SVA asks, ‘What will we bring to the partnership and what will the partnership more broadly achieve?’ With numerous venture and funding partners and a commitment to systemic change, we look at the potential learnings that SVA will be able to share to benefit the broader ecosystem. This demonstrated a real willingness to engage in cultural learning and development. In Marnin Studio, SVA saw an organisation embedded in the community combining therapeutic healing with strengths-based empowerment. It also had a clear desire to become more systematic. Combining SVA’s business and systems-thinking skills with Marnin Studio’s deep knowledge of working in remote Indigenous communities would achieve our mutual objective: to develop and prove a sustainable model of economic empowerment. This model could then be leveraged by other communities and organisations. “Marnin Studio had heard of SVA’s impressive work across Australia,” says Brooke. “However, we were pleasantly surprised throughout the process with the level of respect and curiosity that was shown for our work. This demonstrated a real willingness to engage in cultural learning and development. SVA has gained a deeper understanding of the complexity of the issues faced by the women and the community, and a greater understanding of the holistic approach required to address them. SVA thought it had analysed every aspect of Marnin Studio in the due diligence – all of its activities, the intended outcomes, the women it was supporting and how it planned to achieve its goals. However, before the first site visit – described in part at the start of the article – SVA hadn’t fully understood the environment that Marnin Studio was operating in. As an example, SVA did not know that Brooke spent two hours each day transporting women to and from the Studio, nor that transportation was a massive issue impacting everyone in Fitzroy Valley. This seemingly minor, but time-consuming activity, ensured that women who wanted to engage with the Studio could, while also enabling Brooke to connect with the broader community and reach out to more women. Seeing a normal working day showed that the scope of Brooke’s role and responsibilities extended way beyond her job description and also highlighted the intangible and indirect impacts that the Studio had daily in the broader community. The site visit gave SVA a much better understanding of the environment, relationships, and culture that Marnin was a part of and greater appreciation for how this impacted the Studio’s ability to perform compared to social enterprises in different environments. This understanding was only possible through Brooke’s willingness to be fully open and transparent with us. “When SVA first visited,” says Brooke, “I wanted to offer them an experience, a deeper understanding of the breadth of my role and some insight into the daily workings of the Studio. This transparency has, at times, been confronting but it has provided an opportunity to collaborate and identify solutions together. Brooke emphasises the difference she’s observed between traditional funding arrangements and a more collaborative partnership – and the responsibility that falls on the ‘fundee’ to be open and transparent. 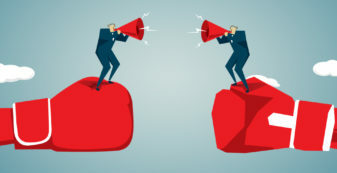 “In a standard funding arrangement, the funder usually sets the terms of the engagement which is highly structured and designed more on the funder’s terms and to meet the funder’s needs,” says Brooke. Like all funding partnerships, SVA and Marnin Studio started with a plan and agreed deliverables. The focus of the first year was on professionalising the Studio’s operations, putting in place systems and processes to enable the Studio to operate more efficiently and scale with greater ease. Together, we agreed on milestones and timelines for the deliverables and sourced resources from SVA, Marnin Studio and SVA’s pro bono partners to support the different areas of work. Throughout the year, issues have regularly come up that required Brooke’s time and attention and pushed deadlines out. The constantly moving milestones and delayed deliverables have caused frustration for both Marnin Studio and SVA. This is where SVA’s efforts to understand the context and nature of Marnin Studio’s working environment together with its transparency have been so critical. Instead of trying to push ahead for the sake of meeting objectives and reporting results, we have instead sought to understand the issues arising. Each situation has presented as unique, but all relate to the underlying trauma impacting the women and the broader community. Thanks to Marnin Studio’s openness, SVA has gained a deeper understanding of the complexity of the issues faced by the women and the community, and a greater understanding of the holistic approach required to address them. The ‘women’ that the Studio supports have become individuals with names and the ‘impact’ replaced with personal stories and triumphs. It’s rare to find partners who truly understand the complexity that we are dealing with and are willing to be flexible with us. Recognising the importance of ensuring Marnin Studio is not pressured to meet partnership deliverables to the detriment of providing support to the women who require it, SVA has flexibly adjusted timelines and milestones. As Brooke says, “In managing the Studio, I monitor a fine balance between therapeutic respite, artistic development and commercial production. These women are the reason that we are here and need to be held in equal regard as the partners who are supporting us. As SVA’s due diligence process identified, there are complementary skills and experiences that SVA and Marnin Studio bring to the partnership to support and build each other’s capacity. In particular, SVA has been supporting Marnin Studio to improve operational efficiency, strategic planning and impact measurement. We knew we had a solid program which supports social and economic inclusion, but needed support to evidence this. As Brooke says, “Where we were once paper based, we are now digitally automated including having our own bank account linked to our new accounting software and ecommerce platform. SVA has also worked with Marnin Studio to better understand, measure and communicate its broader impact. This helps to differentiate the Studio from other Indigenous arts centres. Marnin Studio now has clear methods in place for measuring… the change in the women’s well-being, self-confidence, empowerment, leadership and community engagement. Marnin Studio brought its strengths in community engagement to the process, yarning with the women and ensuring the womens’ voices were heard. SVA helped with developing the logic model and measurement framework based on these insights and then worked with the Studio to identify data collection methods for measuring and tracking progress on the identified outcomes. As a result, Marnin Studio now has clear methods in place for measuring not only income, but also the change in the women’s well-being, self-confidence, empowerment, leadership and community engagement. “The support from SVA and its pro bono partners is enabling Marnin Studio to move closer towards our goal of a viable and sustainable future,” says Brooke. A year into the partnership, SVA and Marnin Studio are on track to prove a sustainable model of economic empowerment. The Studio has now engaged more than 100 women from eight communities in the Fitzroy Valley with 21 new women in 2016. Revenue from product sales increased by 40 per cent last year with the Studio selling $108k worth of products and generating $40k of income for the women. In the coming year, Marnin Studio projects even greater growth in sales to $180k and $65k of income for the artists. More importantly, a shift has begun in the main reason that women come to the Studio. Many now attend because they see it as a work-like activity rather than a therapeutic hobby. Also 13 women have now taken on roles as leaders in their communities, running workshops and yarning sessions with younger women. These touch points and the collaborative nature of our approach is enabling SVA to be culturally richer and more aware. SVA has also gained valuable knowledge and insights from the relationship with Marnin Studio that is being leveraged in other areas. Ferdi Hepworth, SVA’s Director Partnerships, acknowledges that the work with Marnin Studio has given SVA a deeper understanding of community-led change and ways of working in Indigenous communities. The four qualities… have provided a stronger platform to empower the women of Fitzroy Valley. 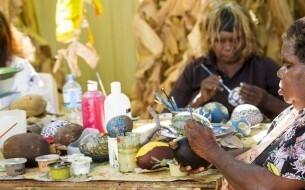 Although still early days, the partnership has received recognition for this collaborative philanthropic approach – as well as SVA and Marnin Studio jointly being awarded Philanthropy Australia’s Indigenous Philanthropy Award in April 2017, SVA was nominated for Social Trader’s Capital for Impact Award in 2016. These awards recognise that this collaborative approach, although often difficult to achieve in a traditional funding relationship, is necessary for a true partnership. The four qualities, reciprocity, transparency, flexibility, and support evident in the partnership have enabled SVA and Marnin Studio to achieve this rare balance and provided a stronger platform to empower the women of Fitzroy Valley to bring about long-term and sustainable changes for their community. The illustration for this article is based on a design by Marnin Studio. SVA’s strategic focus areas are: First Australians, employment, education and housing. See SVA’s perspectives on these issues. 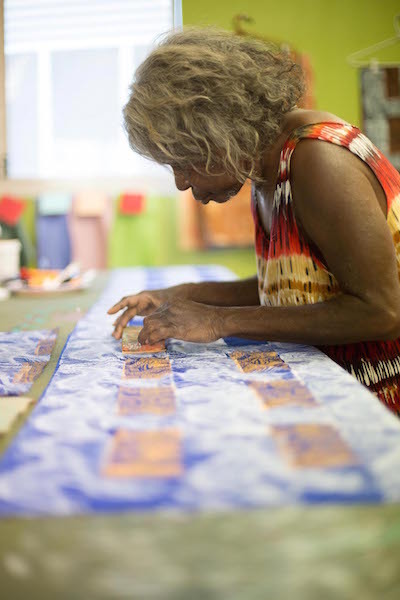 Marnin Studio, an Indigenous arts and therapeutic studio in Fitzroy Crossing, a remote community east of Broome in Western Australia, joined SVA’s venture philanthropy portfolio in May 2016. Marnin Studio and SVA have identified four qualities at the heart of their collaborative philanthropic partnership: reciprocity, transparency, flexibility and support. These qualities are enabling the organisations to meet and learn from each other to provide a stronger platform to empower women in the Fitzroy Valley. One year on and sales revenue has increased and more women are participating in the Studio activities. Malpa’s Young Doctor projects work with communities to teach Aboriginal and non-Aboriginal children, aged 9 to 11, to be health ambassadors and positive role models within their communities. Dismantle supports young people experiencing disadvantage in WA through a 10-week outreach program, BikeRescue, which engages, mentors and inspires them back into employment and education.